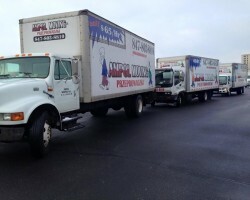 Every aspect of Ampol Moving, Inc. is designed to be straightforward and this extends from hiring their services to their honest pricing system. With a starting rate of $65 per hour for two moving technicians they are easily one of the most competitively priced Chicago movers. Every member of the team is carefully selected and background checked. With a company like Ampol Moving, Inc. in control of your relocation, you won’t have to worry about a thing when your moving day arrives. There is only one local moving company in Chicago that focuses on making every aspect of relocating from one property to another as easy as possible. 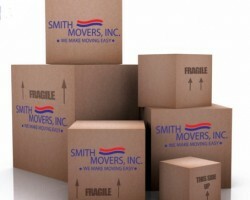 Smith Movers, Inc. has been the first choice for residents throughout the city since 1975. They have been able to achieve this position because they always put their customers first and background check each of their movers and packers. Whether you are moving within the city, Illinois or need nationwide moving services then you need this company. 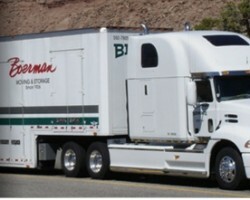 Howard and Mary Boerman founded this service in 1926 and ever since this company has been one of the leading apartment and house movers in Chicago. Not only are they able to assist with a wide range of commercial moves but they are one of the most trusted residential movers in the country. They are not only widely respected but they are fully licensed and insured by the State of Illinois. When you are moving home forget low quality and cheap services and only opt for the best. If you want moving services for your residential and commercial needs, then Reebie Storage and Moving is the best choice for you. Here, we provide de best services including loading & unloading for bulk material at competitive prices. At Reebie, apartment moves and small moves are our specialties. We are a full - service moving and storage company who will transport your household shipment under 2, 000 pounds. Regardless of the size of the shipment for small moves, our team of expert Chicago apartment movers will handle your move easily. Boyer Rosene Moving & Storage is the only company that provides specialized services for both commercial and residential customers. If you have something specific that you need moving then you will be able to speak directly to these experts to receive a free quote of their affordable prices. This can be anything from an entire set of office furniture to a grand piano. This company also offers storage solutions for all of those belongings that you won’t be able to take with you.